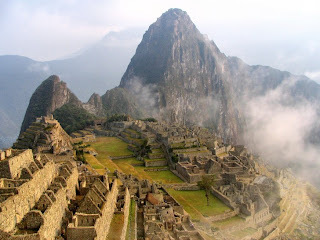 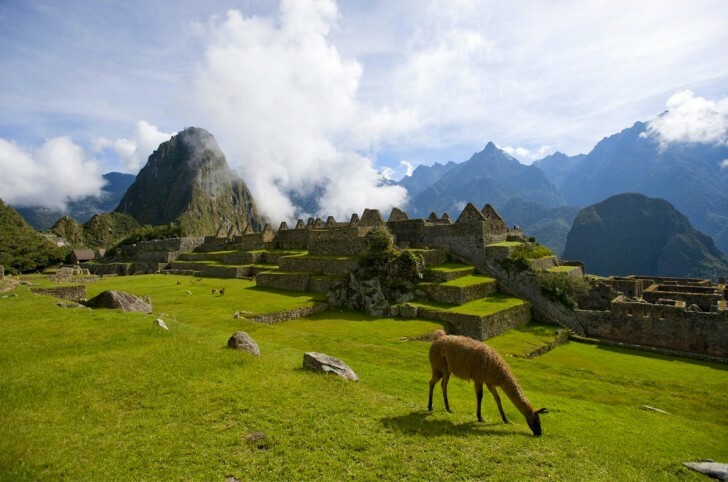 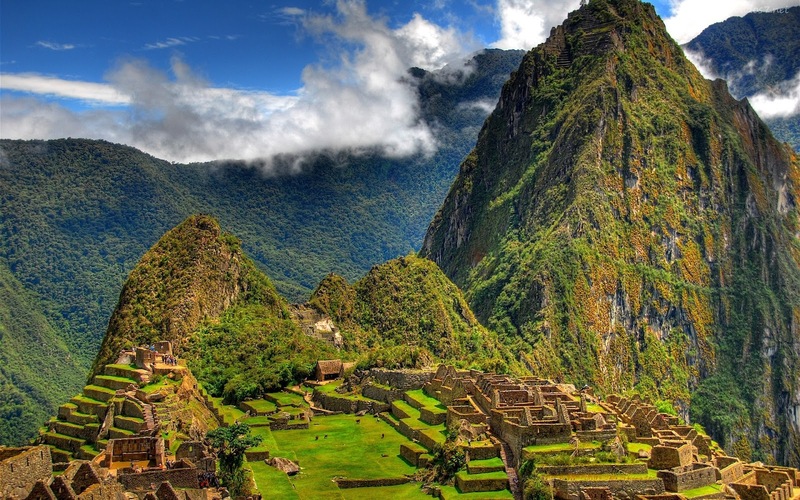 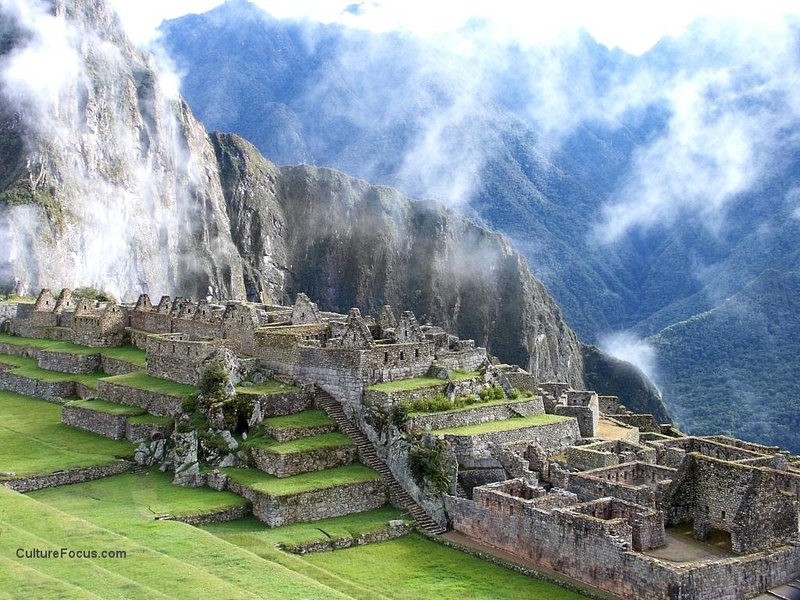 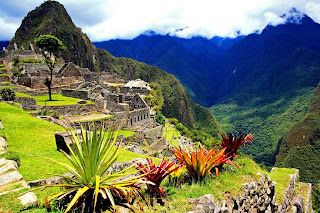 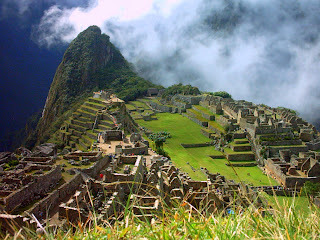 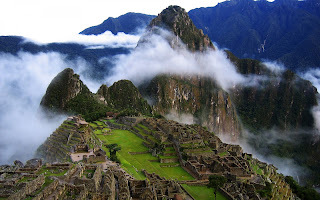 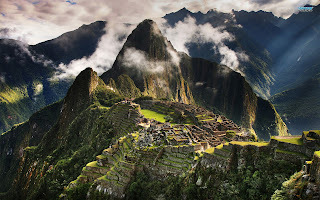 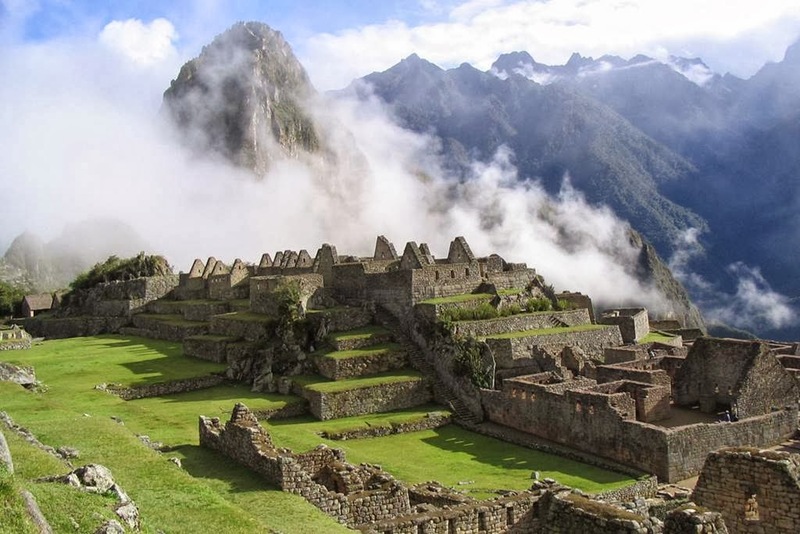 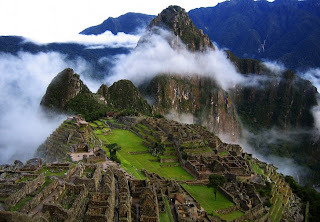 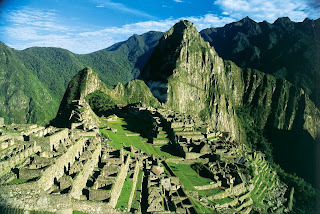 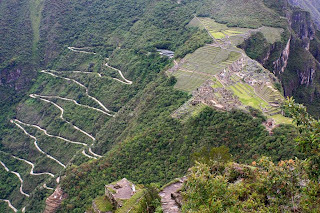 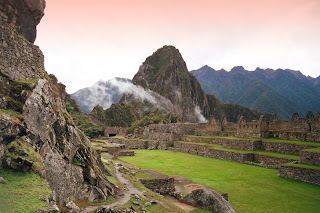 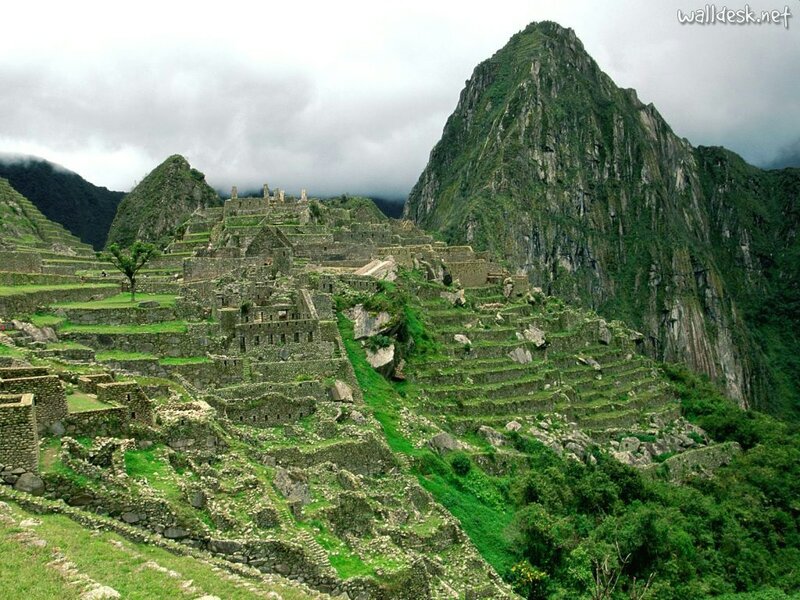 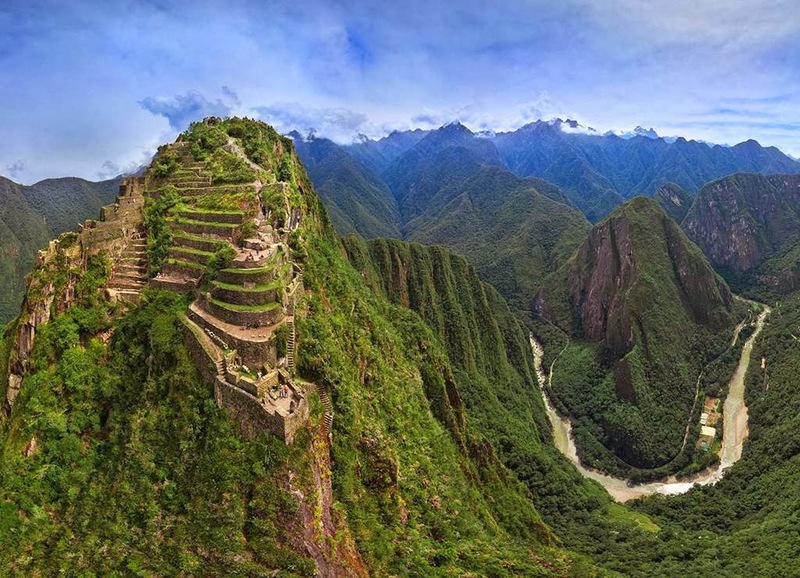 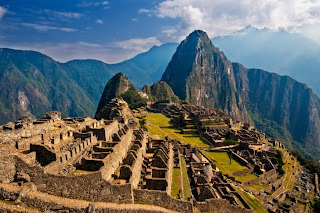 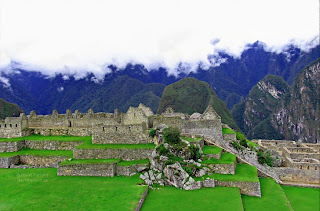 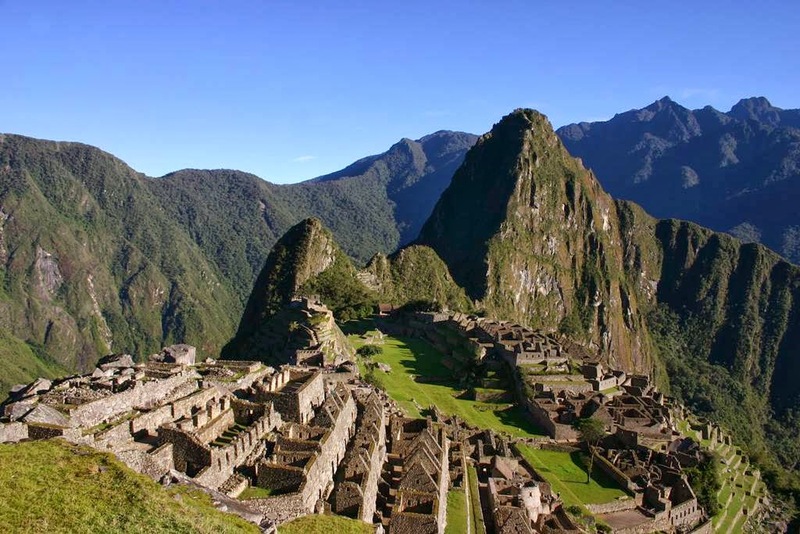 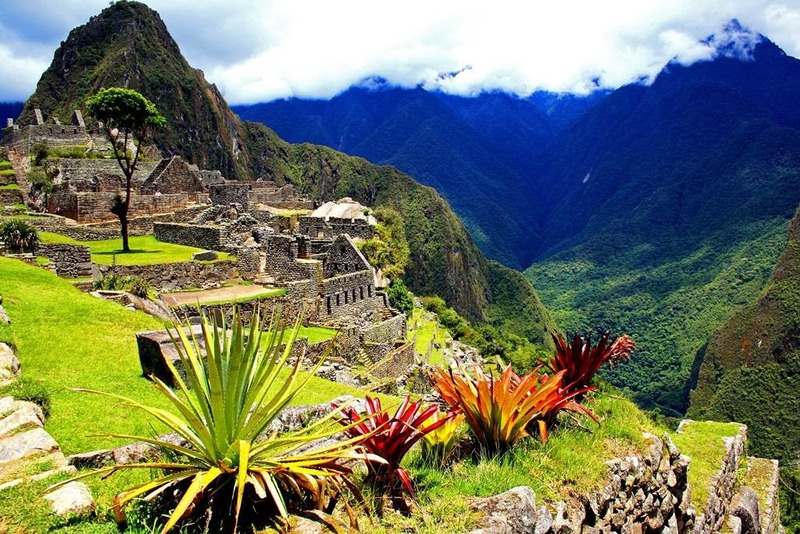 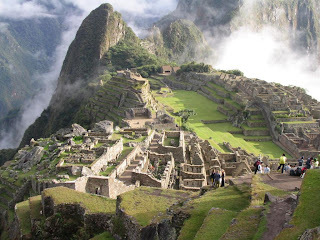 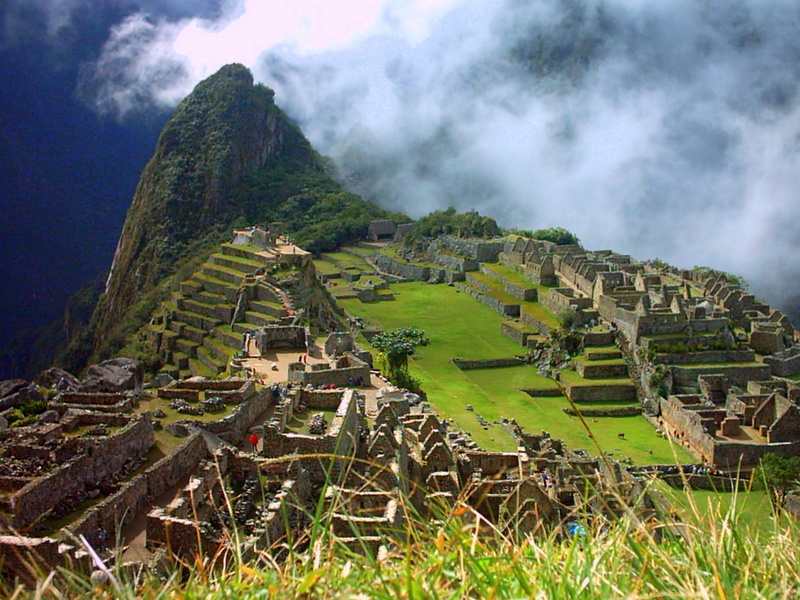 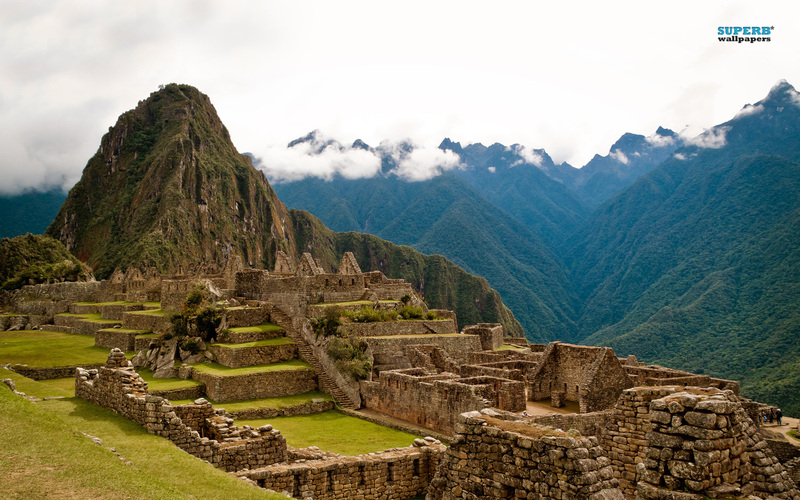 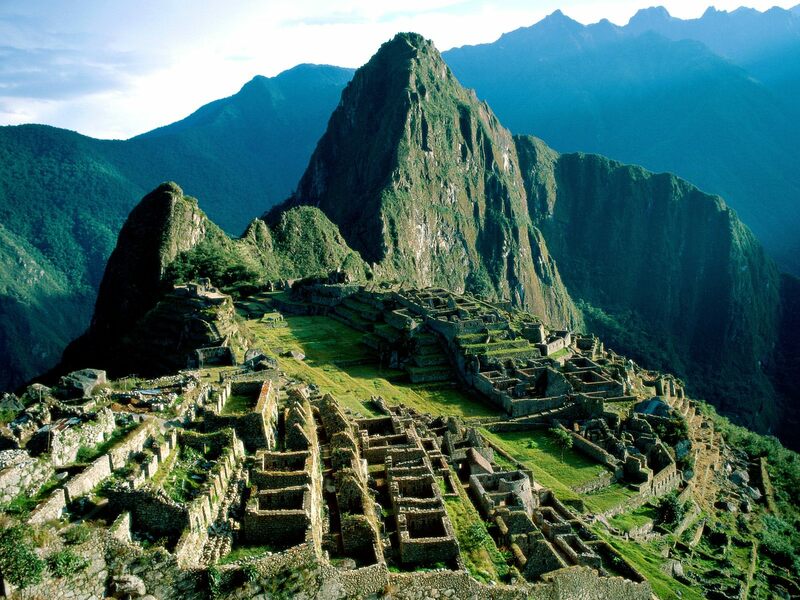 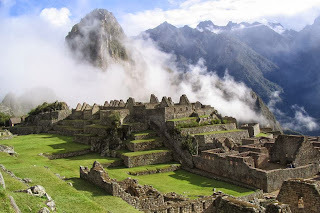 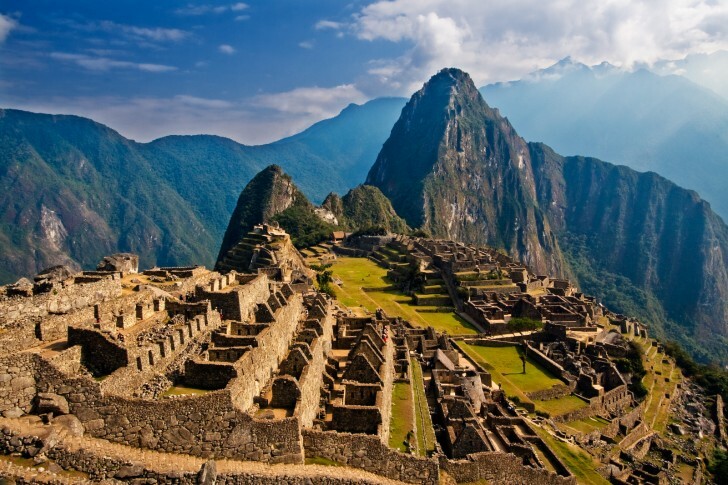 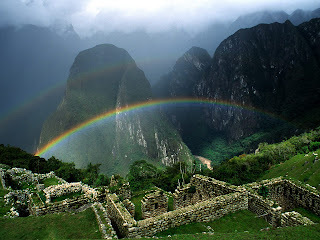 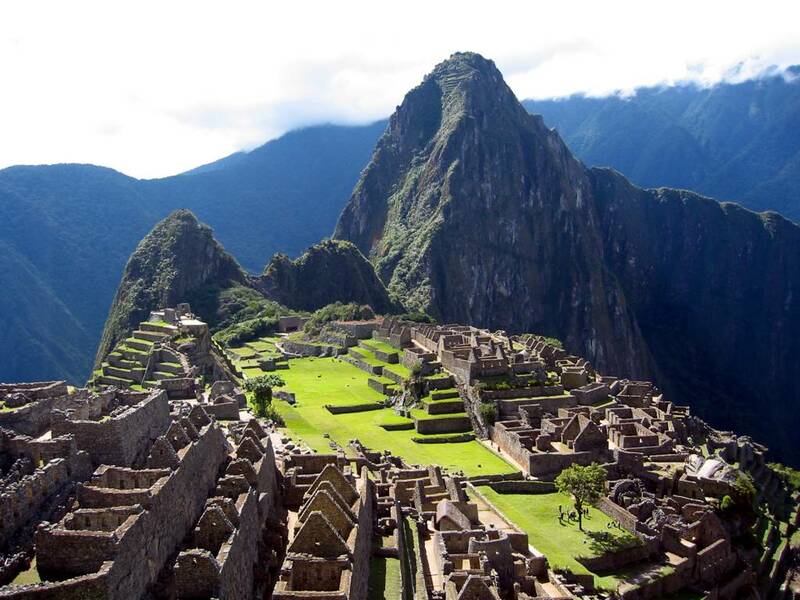 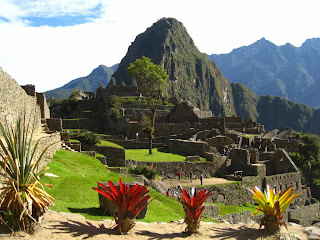 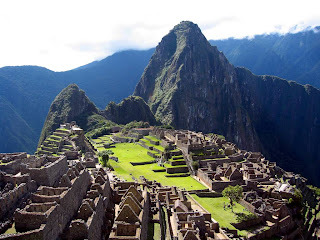 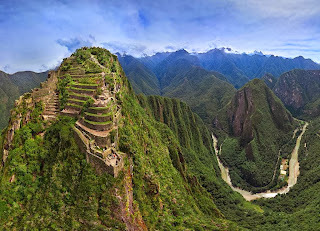 Machu Picchu is a 15th century Inca site located 2,430 metres above sea level. 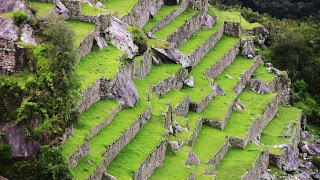 It is located in the Cusco Region, Urubamba Province, Machupicchu District in Peru. 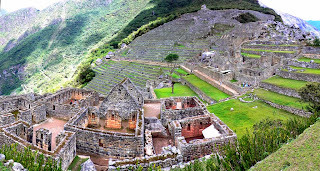 It is situated on a mountain ridge above the Sacred Valley which is 80 kilometres northwest of Cusco and through which the Urubamba River flows.